Bodyweight training is also known as calisthenics is a great way to exercise that offers a lot of different ways you can train depending on what goals you want to archive. Bodyweight training can be used for improving strength, mobility, bodybuilding, balance or rehabilitation. Below I have listed all the fitness books I have read that focus on bodyweight training and mobility training and give a brief overview of it so you can determine if the book will suit your needs. It is free, you do not need any expensive equipment to get started. It can be done almost anywhere at any time, so you don't have to waste time traveling to a gym. It's easier on your joints compared to power lifting, Olympic lifting, strongman training, body building and cross fit. Below are some of the best fitness books on bodyweight and mobility training that I personally own. Although this book is full of hyped up buzz words like "supreme survival strength" the basic program in the book is solid. Don't let the tuff guy tone of the writing in the book scare you away from it, the program laid out in the book would be perfect for anyone looking to gain strength through bodyweight exercises. The goal of the book is to teach you how to work your way up to doing a one leg squat, one arm push up, one arm chin up, handstand shoulder press, hanging leg raise and a back bridge from standing. For each one of these movements, their are 10 different easier movements that get progressively harder until you reach the final level for each one. If you do not enjoy going to the gym but want to gain strength this is a good book for you. The downside to the program laid out in this book is that it is going to take a really long time to build the strength to be able to do those final level exercises because strength training with the program laid out in the book is a slow process. Keep in mind that the type of strength training program laid out in this book builds more of a wiry strong physique then a massive bodybuilding physique if that is what you are looking for. Also if you are overweight you will probably get to a point where you will not be able to progress through the exercises until you loose some weight. To sum it up if want to be super jacked up in no time this book is not for you if you are not in a rush to slowly build up your strength this is the perfect book for you. Check out this article in it i have videos on how to do all the advanced exercises in this book and also how to do most of the easier exercises that lead up to the advanced ones. 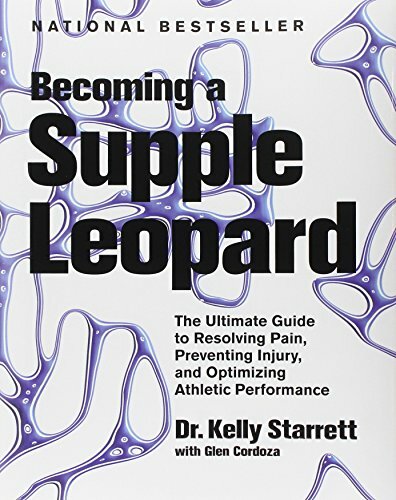 While the programs that are in this book are focused on relieving back pain, it is also great for preventing it and building strength, balance, and flexibility. Most of the movements in this books are modified yoga poses and stretches. The book consists of a few programs, easy, medium and hard. They make the programs more challenging by making them longer, adding more poses, or holding the poses longer. The programs laid out in this book would be best for people who sit at a desk all day, aging people who want to keep their mobility (you can never be too young to start), or people with back or joint pain that have the ok from their doctor. The programs in this book would also be a good supplement to athletes, bodybuilders, powerlifter, martial artist, cross fit, or people who do physical labor for work because it will increase your help to improve your mobility and will help to stay injury free. This book is not an exercise program but more of a reference guide on how to maintain your body to keep it injury free. This book is broken down into sections by muscle groups in your body, this makes it easy to find relevant information. A lot of the movements in this book are stretches or bodyweight exercises but there are some that require equipment. Anytime I have a minor pain that's not going away the first thing I do is look up the body part in this book to get some advice on how to deal with it and prevent it from happening again. Check out my article with 10 free yoga routines here. The first part of this book focuses on building strength in the neck,hands, forearms, calfs and lateral chain (how to do a human flag). The programs in this book are structured similarly to the first book where he shows how you can learn to do extremely challenging movement by slowly working you way through a series of easier movements. The seconding part of the book is on joint and mobility training. The author explains what joint and mobility training is and why you should do it and then shows a few different movements that can be done that will work cover most areas of your body. In the third part of this book, the author shares his opinions on a wide variety of topics such as weight loss, gaining muscles, how to recover from injuries. I think this book would be good for anyone looking for an effective way to train those areas of the body that are often left out of other training programs. 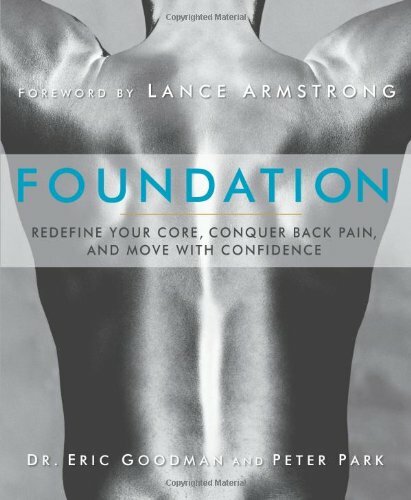 The mobility and joint training part have great content if you are new to joint and mobility training but if all you are interested in is joint and mobility training I would go with the book The Foundation. Get started balance training today by doing static balance posesCheck out my guide to learn how to put together a beginner bodyweight balance routine. This book focuses on only using 3 difference movement patterns for a total body workout, the movements are the back bridge, push up and squat. For each of these movements, he shows different versions of them ranging from easy to extremely challenging. This book does not lay out an exact progression of easy to challenging exercises to follow like the convict conviction books do. But, the author does show you how to do many different movements base on the squat, bridge and push up so that you can come up with our own program. Additionally, he gives some advice on how to put together a bodyweight strength training program, including how to choose how many reps and sets to do. Due to the simplicity of the program laid out in this book of only using 3 movement patterns, I think this book would be best for someone just getting into working out, or bodyweight training or travels often and does not have access to a gym. While you can build some serious strength just using the 3 different movement patterns in this book the author does recommend that you eventually add other movements to your workout routines like pull ups and chin ups. The author has another book called Raising the Bar: The Definitive Guide to Bar Calisthenics in which he shows a variety of different exercises that can be done with a pull-up bar. This book differs from other bodyweight training books by focusing on how to gain muscle mass by only using bodyweight exercises. In this book the author shows how bodyweight training can be used for body building, this is mainly done by keeping the reps in a range of 6 or above and the sets low. The first part of the book the author explains in great detail exactly how bodyweight training can be used for bodybuilding. In the second part of the book, the author goes through all the muscle groups in the body from your neck down to your calves and list what are the best exercises to choose to target a specific muscle group. The author does not spend a great deal of time explaining how to do some of the exercises that he lists, you will have to check out his other books convict condition 1&2 for that or you can probably find an explanation if you look the exercises up on youtube. In the third part of the book, the author gives a bunch of example programs ranging from very simple to complex that you can follow.The author also teaches you how to design your own programs to suit your goals. In the last part of the book, the author provides some additional content on how to put together a strength training only program and address some common questions from people that are having problems seeing results from bodyweight bodybuilding. 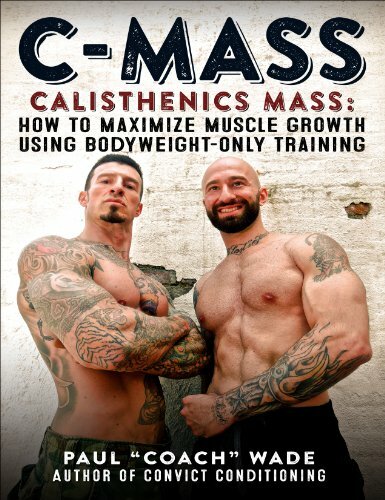 This book would be great someone who wants to put on some mass but does not want to or have the time to go to a traditional gym. Keep in mind that you will need access to a pull-up bar to follow the programs laid out in this book. Looking for some free bodyweight training information? Here are some the best fitness blogs on calisthenics. 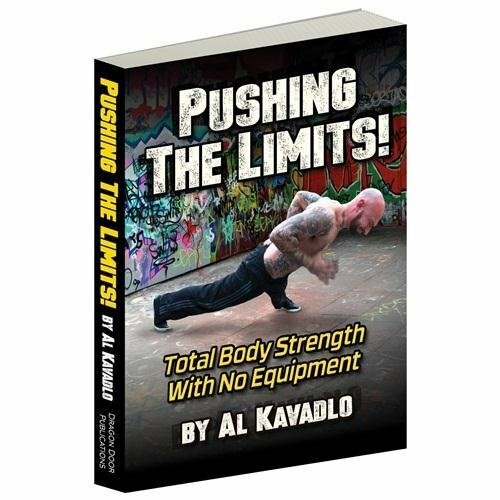 Al Kavadlos the author of some of the books mentioned above runs a great blog offering lots of free videos and tips on bodyweight training. The start bodyweight training blog looks like it has not been updated in awhile but check out the basic routine infographic for an example of how to progress from easy exercises to extremely challenging ones. The Man vs Weight blog offers a ton of free content for bodyweight training including an in dept introduction guide to bodyweight training. He also offers in dept reviews or different bodyweight program online courses. Have you read any books on body weight strength and balance training that you can recommend? What are your favorite sites or blogs on body weight strength training? If you liked this article, please help support this site by sharing it with your friends, social media or relevant site.